Virginia duo Illiterate Light will release their debut EP, Sweet Beast on January 18, 2019. Illiterate Light will be in Pittsburgh on Wednesday, Jan. 9 at Rex Theater. Illiterate Light is Jeff Gorman (guitarist/vocalist) and Jake Cochran (drummer/vocalist). The duo just finished a tour supporting Post Animal, and are currently back on the road with Rayland Baxter, along with confirming 2019 appearances at the SXSW Music Conference and Shaky Knees Festival (full list of tour dates below). Sweet Beast is the cry of an uncontrollable hidden inner self: hidden because the good comes with the bad, and love comes with imperfections. Translating Illiterate Light’s live show’s excitement to the studio was aided by Adrian Olsen (Natalie Prass/Foxygen) and Vance Powell (Jack White/Chris Stapleton), who knew exactly how to move with the raw energy and push the guys into new sonic territory. From political hopelessness to longing for love, Sweet Beast is a cathartic call for the modern moment. The band recently released single “Nuthin’s Fair”, which followed hardhitting tracks, “Growin’ Down” and “Better Than I Used To”, the latter of which, was featured in NPR Music’s “Heavy Rotation: 10 Hot Summer Songs” column and has over 300k plays over all platforms to date. 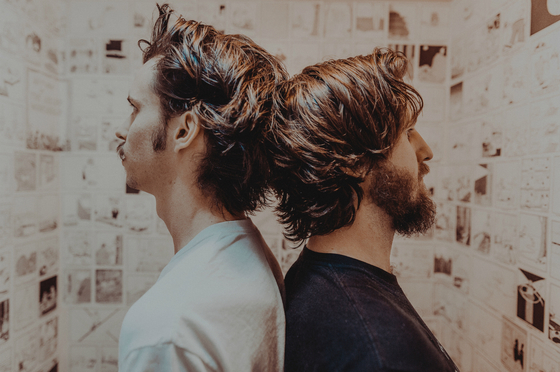 Virginia duo Illiterate Light will release their debut EP, Sweet Beast, January 18, 2019. Sweet Beast is the cry of an uncontrollable hidden inner self: hidden because the good comes with the bad, and love comes with imperfections. Recorded in 2018, in both Richmond, VA and Nashville, TN, sessions for the record were deliberate… in and out and done. No messing around… just pure momentum and a desire to experiment. Translating Illiterate Light’s live show’s excitement to the studio was aided by Adrian Olsen (Natalie Prass/Foxygen) and Vance Powell (Jack White/Chris Stapleton), who knew exactly how to move with the raw energy and push the guys into new sonic territory. From political hopelessness to longing for love, Sweet Beast is a cathartic call for the modern moment. The duo recently released single “Nuthin’s Fair”, which followed hardhitting tracks, “Growin’ Down” and “Better Than I Used To”, the latter of which, was featured in NPR Music’s “Heavy Rotation: 10 Hot Summer Songs” column and has over 300k plays over all platforms to date.